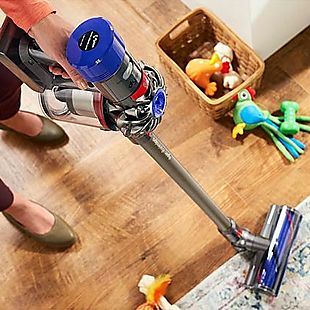 This Dyson V8 Animal Pro Cordless Vacuum lists at $399.99, but you can get it for $299.99 during this sale at HSN. Shipping is free. That's the best price we can find anywhere by about $50. The vacuum comes with attachments, including a crevice tool and a miniature motorized tool. You also get a wall docking station, a charger, and an extension hose. Note that first-time shoppers at HSN can use the code NEW2019 during checkout for an extra $10 off. Sales tax is charged in most states. 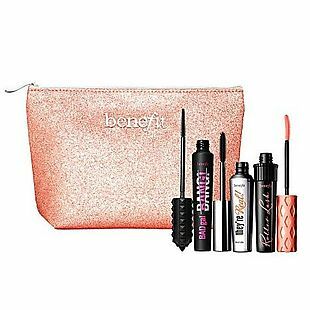 Check out this 4-Piece Benefit Mascara Set which goes for $39 with free shipping at HSN. This set is not being sold anywhere else and it includes three full-size mascaras, plus a sparkly cosmetics bag. Most sites are charging $25 for just one of these mascaras. Compare at BenefitCosmetics.com and Ulta.com. Sales tax is charged in most states. 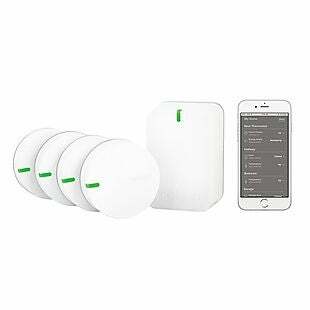 The Notion Wireless Smart Home Monitoring 4-Pack Sensors & Bridge Bundle drops from $189.99 to $149.99 with free shipping at HSN. This is the lowest price we found for this set by $48. First-time HSN shoppers can also apply the code NEW2019 in their cart to take an additional $10 off. Each of the four sensors can detect motion, water, sounds, or temperature, so you place them around your home based on what you want to monitor. Sales tax is charged in most states. 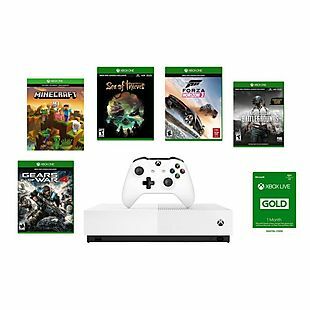 Pre-order the new Xbox One S 1TB All-Digital Edition Console for $299.99 at HSN and it will come with downloads for the games Gears of War 4, Minecraft, Sea of Thieves, Forza Horizon 3, and Player Unknown's Battlegrounds. The console itself is normally $249.99, but for the extra $50, you'll be getting $150 worth of games with this bundle. First-time HSN shoppers can also apply the code NEW2019 in their cart to take an additional $10 off. This new Xbox is disc-less, so your games will either be installed directly on the Xbox or saved to your cloud. Orders will ship for free on the Xbox's release date of 5/7. Sales tax is charged in most states. 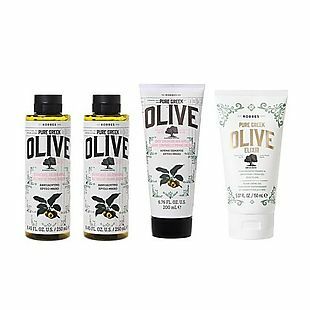 This Korres 4pc Pure Greek Olive Oil Age-Defying and Firming System is now $42.90 at HSN, and shipping is free. This is 15% off the regular HSN price, and a savings of more than $45 over buying each item separately. Get a fragrance-infused Body Cream, a Firming and Smoothing Body Elixir, and two Shower Gels in your choice of Bergamot, Sea Salt, or Golden Apple. You can order for a single or recurring delivery. Sales tax is charged in most states.